How to increase WiFi Signal Strength & Improve WiFi Speed? This post is particularly aimed at small WiFi hotspots i.e. to improve WiFi signal strength and speed at home, small cafes, offices etc. However, large network owners may also find something useful. The access point or router should be placed in the center of the room. Place it high up towards the ceiling and not on the ground. 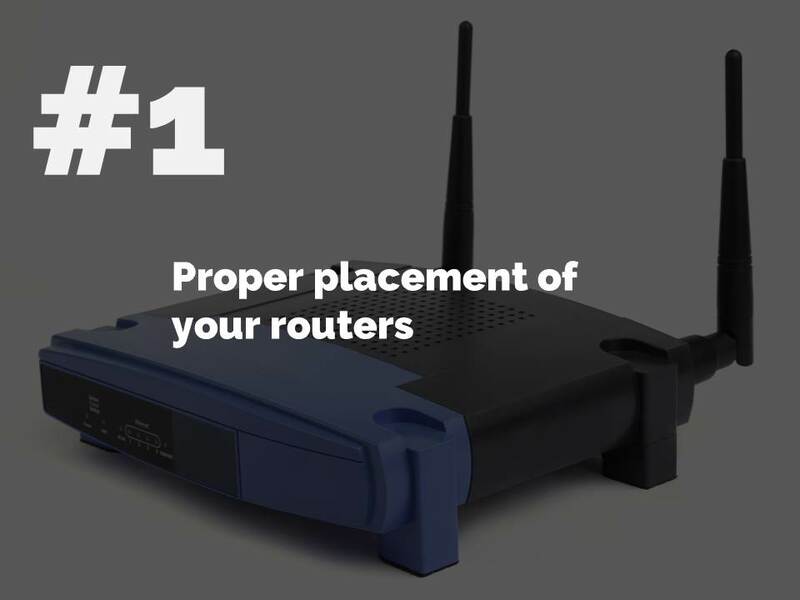 Avoid placing your router near metal objects or furniture. Concrete or brick walls also severely restrict WiFi signal strength and speed. Never place your router near a microwave. Having too many walls and obstructions between the router/AP and your computer/tablet/phone can reduce wifi speeds and hamper your connectivity. Typically an access point has a range a 20m to 50m indoors. That being said, you can always cover a large area of square one with WiFI if you have multiple access points. Never place a router inside a cupboard or the corner of your room. It restricts your network coverage. Walls, furniture, plants or any physical obstruction between your device and wifi access point will block your connectivity. The ideal place to is on the ceiling in the center of your home. Check out the outdoor Access Points by Ubiquity. They look beautiful and can be wall mounted on your ceiling. Always remember! The best location to place your router is the center of your room. 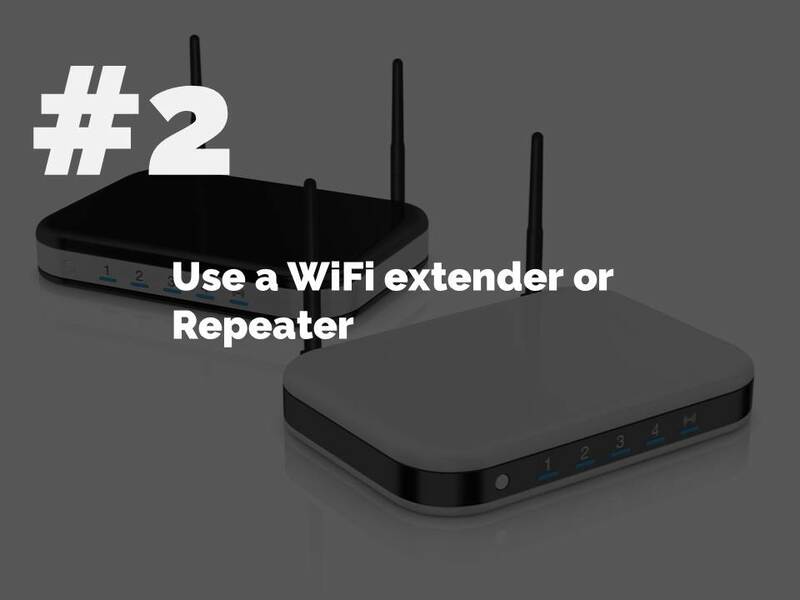 A WiFi repeater is a transmission device that can help you improve your hotspot range and speed up connectivity. It is used to extend the coverage area of your WiFi network. It works by receiving your existing WiFi signal, amplifying it and then transmitting the boosted signal. The way it works is fairly simple. As the name suggests, a WiFi repeater will amplify and relay the boosted signal. 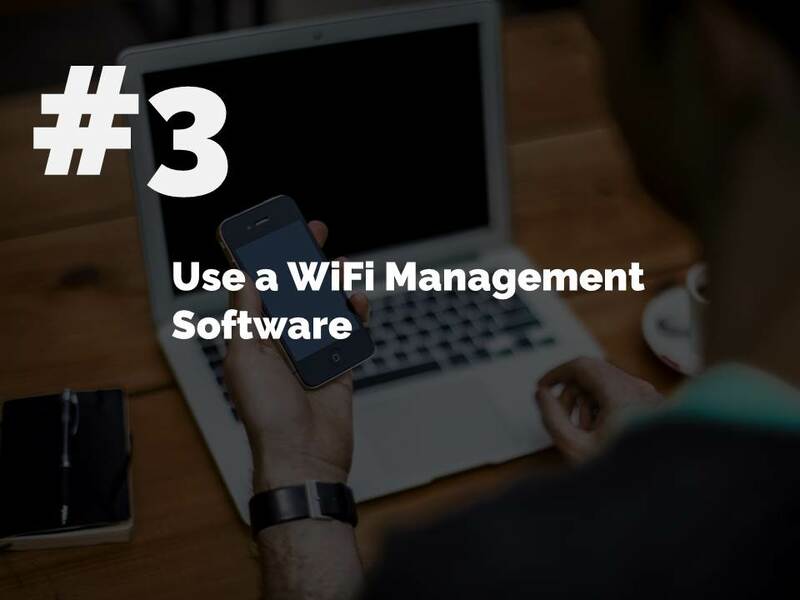 A WiFi Management Software can help you control your entire network. When your Internet is used by too many people it’s hard to get good speeds as this connection is divided by the number of people using it. For example, a 10mbs connection used by 10 people could divide speed by a tenth giving teacher user 1mbs each. With a WiFi Management Software you can set bandwidth restrictions for different users. Keep more speed for yourself while you allocate lower speeds to other users in the network.